When you host a big event, it’s all about the celebration. 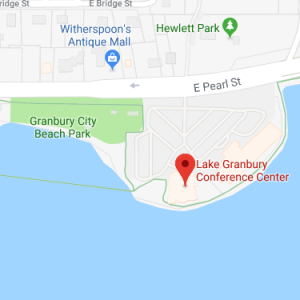 At the Lake Granbury Conference Center, we understand that every event host desires a stress-free day, which is why we have created the perfect lakeside setting just for you. One of the things that sets Granbury apart when looking for the ideal venue is the array of experiences we offer. In Granbury, you’ll find exceptional event locations and exciting off-site experiences for the whole group to enjoy.